When selecting a bug out gun, there are a whole host of qualities to consider–some more important than others. Still, because survival often depends on the most minute of details, you cannot leave anything to chance. That is why we have devised a list of the top 10 considerations when picking the perfect bug out gun for you. One word of note, we are not including accuracy in our discussion for the most part for a couple reasons. First, it is painfully obvious and should simply be expected. Second, assuming it is precise, even a firearm with subpar accuracy can be used effectively in well-practiced hands. As such, we expect that you will ensure you can fire your bug out gun accurately through plenty of practice. This is easily the most important and obvious choice you must first make. 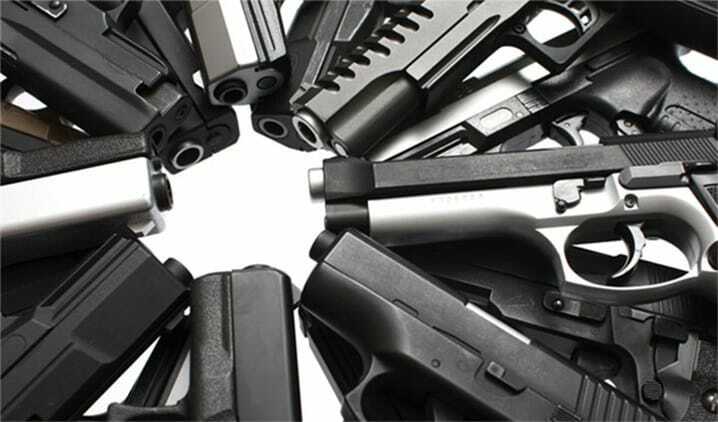 Generally, there are three types of firearms you must select from: handguns, shotguns, and rifles. That said, the rifle can be further divided into the standard rifle type and the assault rifle, though both have considerable overlap in a number of areas. We are of course omitting the machine gun category–both heavy and sub–since those are not as likely to be a strictly legal option. When considering the type of the gun, the primary factor to take into account will be its intended purpose. Each of those four firearms has a distinct setting in which they are the preferred firearm. Granted, you can–and likely will–use one or more of a single type of firearm for purposes that might be otherwise better suited for an alternate type. That is the nature of efficiency. 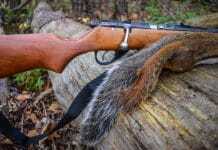 For example, when trying to hunt large game while on the move, a rifle will often provide the best shot. The accuracy combined with the long-range makes this an ideal firearm for the task. 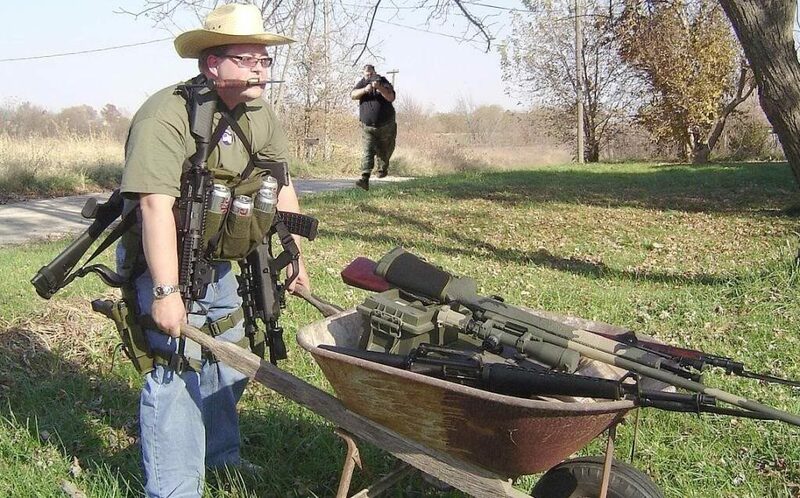 That said, if you opt to carry an assault rifle for its anti-personnel capabilities, you may not have the weight capacity to also carry a long range rifle–especially if you are the only member of your party capable of carrying either weapon for long distances. In this case, you must adapt and find a way to use the assault rifle for hunting–likely moving in a bit closer to the target. This principle applies to all firearms. Shotguns are better suited for close-quarters defense and fowl hunting but can bring down large game in the hands of a capable hunter. Likewise, a traditional rifle is less than ideal for close-quarters defenseclose-quarters defense but can serve admirably if you know how to use it that way. Despite what it may seem, the choice of which caliber to use has far less to do with stopping power than it does what might otherwise be considered “ancillary” factors when choosing a firearm. Granted, you will want to make sure that the caliber of the round provides adequate stopping power for your purposes, but even the humble .22can be unerringly lethal in the hands of an excellent marksman. In fact, because you should strive to improve your accuracy to the best of your abilities, the stopping power of the firearm only matters for party members who are otherwise not practiced shooters. Instead, the more relevant factors when considering the caliber of your firearm will follow the same principles that use when making a bug out plan in the first place: efficiency and availability. For instance, a .45 ACP offers a significant advantage in stopping power when compared to a 9mm round, but how will these rounds compare in a bug out plan? Since the 9mm is lighter and smaller, this is clearly a better option for packing and carrying. Since the 9mm round still provides ample stopping power–even in a reasonably accurate shooter’s hands–the extra oomph from the .45 ACP becomes less important. Using the same two rounds before, the next question of availability matters both before SHTF and after. Before you need to bug out, 9mm rounds are often less expensive and sold in larger amounts. 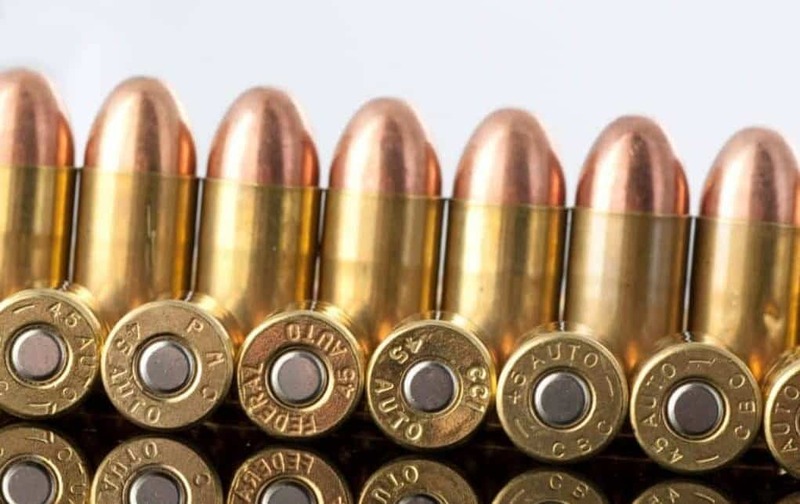 However, once SHTF, the sheer market prevalence of the 9mm round will make it a better option than the less plentiful .45 ACP–even though the .45 ACP is not exactly uncommon. 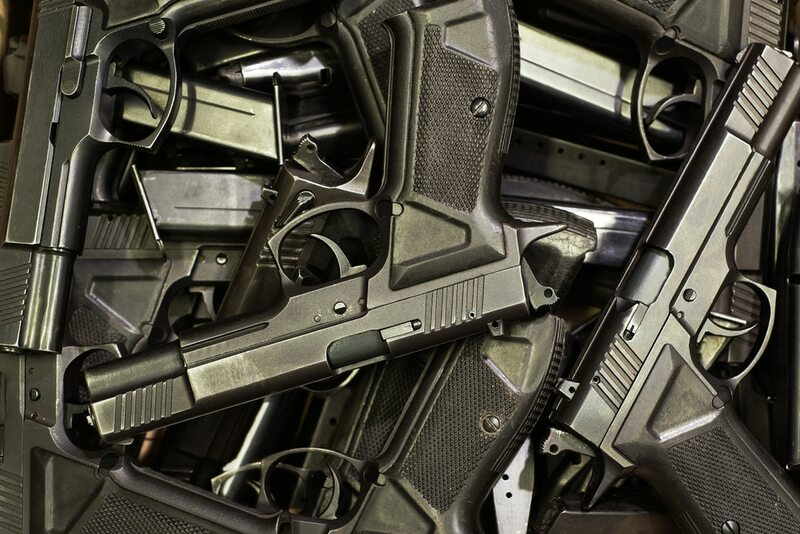 While some of this consideration will be determined by the type of the gun you choose, even the same type can differ drastically from one manufacturer or model to the next. The sheer wealth of options available when selecting a firearm means that you can find a gun that is the perfect size for you while still providing the performance that you require. A good example of this can be found with shotguns. 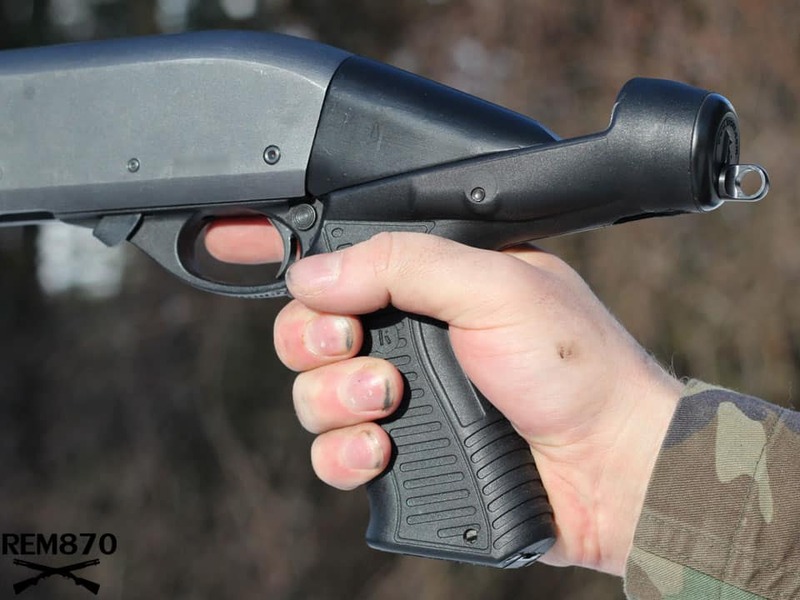 A 12 gauge shotgun made by a single manufacturer may come in a multitude of sizes. This size can be altered both at the stock and the barrel. In fact, the same manufacturer can offer different sizes of a single model by simply defining them as a specialized version of a “standard” firearm within their lineup. This factor is important for primarily two reasons. The first consideration will have to do with the makeup of your party. While you may be more than capable of handling a firearm with a barrel that is thirty inches long, a smaller child will likely struggle with a weapon that size. Even if they are capable of using a large weapon in ideal conditions, there is no guarantee that holds should self-defense come into play. The second reason size matters relates to response time. Remember, we are assuming you have practiced to the point that you are accurate. While a longer barrel can help increase accuracy, it will require more time to ready the firearm and will be far more difficult to maneuver in a situation that calls for rapid response. Similar to size, weight is another consideration revolving around the physical dimensions of a firearm that will impact whether it is right for you or a party member. In fact, many of the same factors that will influence whether or not a weapon is properly sized for you will also be used to determine whether it is properly weighted for you. 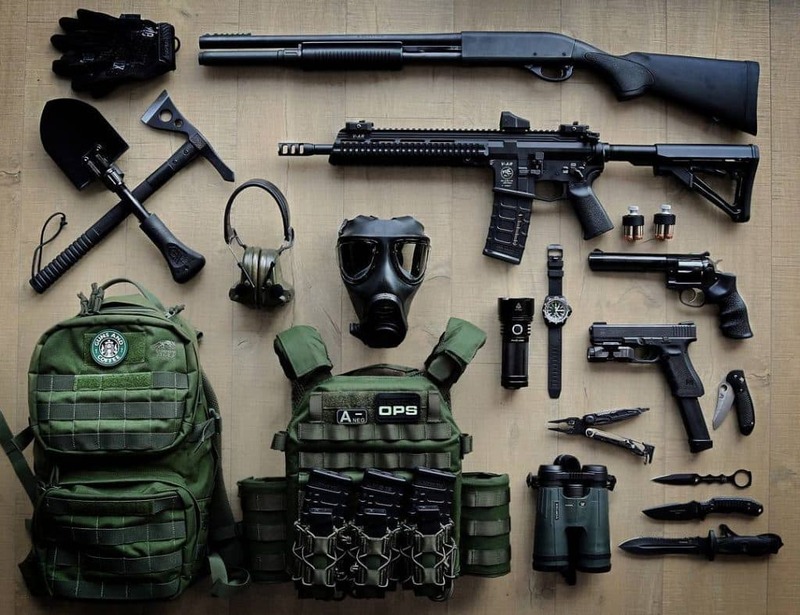 However, this consideration does offer a bit more wiggle room than size in that you can find a bevy of firearms that make use of lighter materials for the express purpose of cutting down weight. Depending on the material used and the method of construction, this may even lighten your load without carrying any unintended consequences. Arguably the most important consideration when it comes to a firearm’s weight will follow some of the same logic used when determining its caliber. 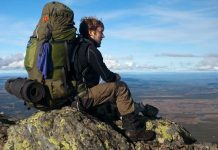 Essentially, how much total weight does the firearm add to your traveling gear? If choosing a firearm for your bug out shelter, this is obviously less important. Still, when figuring out which gun to take from your starting location, this is a major decision. 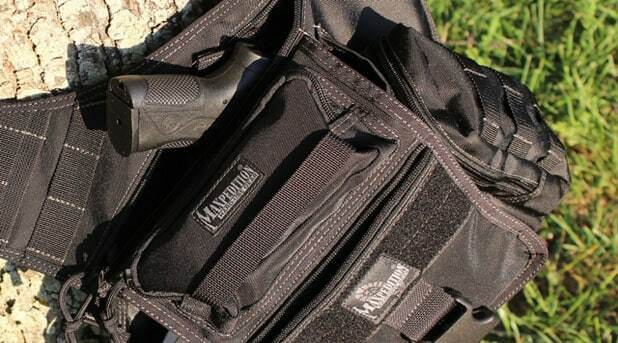 The other important factor when it comes to weight will follow similarly to size in regards to the time it takes to ready the firearm, how it affects maneuverability, and the other members of your party. Children and the elderly may have more difficulty wielding heavier firearms, and everyone will suffer from slower response time and decreased maneuverability. While we have been for the most part ignoring the effects of accuracy when selecting your firearm–operating under the assumption that you will ensure you are accurate regardless the gun you choose–this consideration does deserve a special note. This is because the recoil of a firearm can be mitigated by a whole host of design choices, and almost any way to reduce recoil is desired. The main issue with recoil is that it will ultimately affect how much higher your shot lands than is sighted. 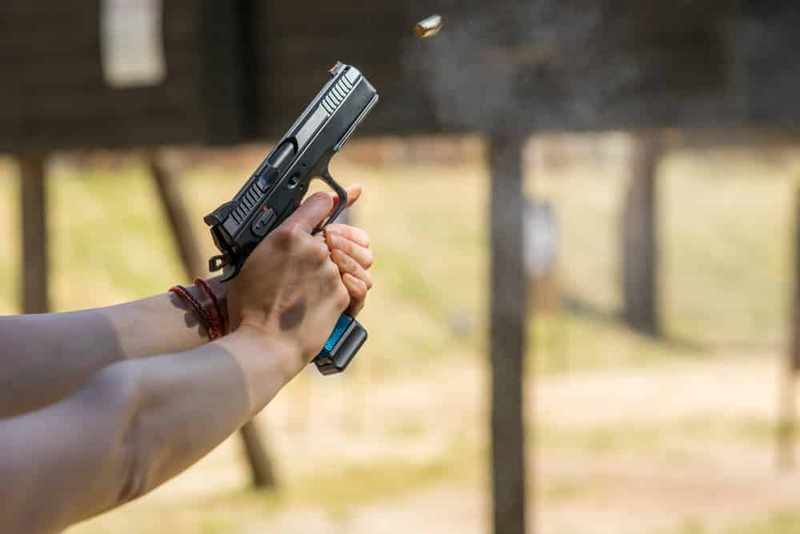 Granted, this is not a universal rule for all firearms and proper shooting technique can definitely play an important part in decreasing the effects of recoil on your accuracy, but the fact still remains that more recoil will translate to a less accurate shot. Some of the other factors already discussed in this list will also combine to impact the degree of recoil your firearm suffers. For instance, the higher caliber weapon you use, the more recoil you will have to deal with. That is because the more power the round generates, the more it will throw off your aim. Like many instances, this will affect children and some elderly party members more than healthy adults. Another consideration when determining the recoil is the weight of the firearm. 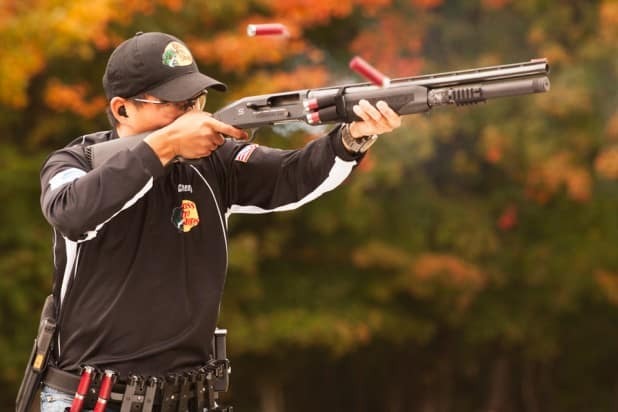 Even though we have already extolled the virtues of using a lighter firearm, you may want to strike a balance between the gun’s weight and the effect it has on recoil. In the hands of a shooter using proper technique, a heavier firearm will produce less disruptive recoil. While durability plays an important role when making any purchase, it ends up playing an outsized role when considering which firearms to use while bugging out. Keep in mind, if something happens to your firearm when the SHTF, it will be incumbent upon you to be able to get the gun in proper working order again. There will either be no time or opportunity to run down to the local sporting goods store to pick up another one. One of the primary durability concerns should be how it handles inclement circumstances. There are plenty of firearms available to provide exceedingly impressive performance, but many of those guns will not necessarily be able to handle the travel of bugging out. Whether it is moisture, dust, or simply being carried for days at a time, many of the most precise firearms are also the most delicate. One overlooked factor when considering the durability of your firearm involves replacement components. If society collapses, your firearm will eventually fail. There is no amount of cleaning and maintenance that you can do which will ensure a firearm never needs to have its firing pin replaced at some point in time. As such, selecting a durable firearm that is also popular provides more opportunities to obtain replacement parts. Following the durability consideration, the assembly of the weapon follows in a complementary vein. Basically, if you ever have to repair your firearm, you will need to disassemble it–partly at least. Depending on the manufacturer, this can be a fairly easy and straightforward process or it can be a frustrating and time-consuming one. Moreover, some of the same factors that influence a firearm’s durability will also coincidentally play into its assembly. Firearms with exceptional performance will quite often be engineered in less common ways. While this is not much of an issue if the engineering focuses on the architecture of the component, it can just as easily be an effect of the firearm’s construction. This is especially relevant when it comes to firing mechanisms, loading processes, and specialized recoil dampening systems. Of course, regardless of the firearm’s performance, it will still need to be cleaned. This adage holds true more when you are on the road and bugging out than if you only use the firearm occasionally. 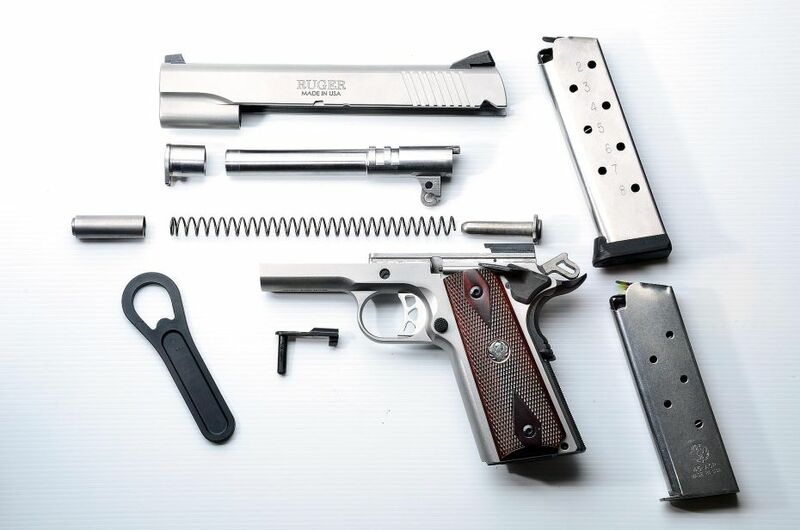 As such, the ease with which the firearm can be disassembled and assembled will not only influence how quickly you can clean the gun but how quickly you can make use of it once again. 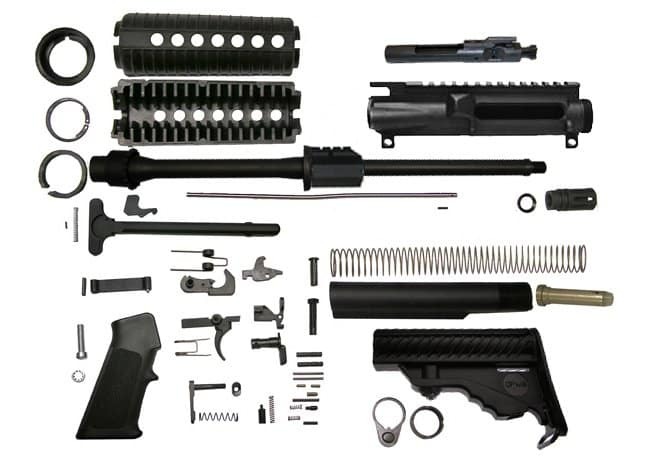 The M16 is famous for its ability to be disassembled and assembled in under a minute. 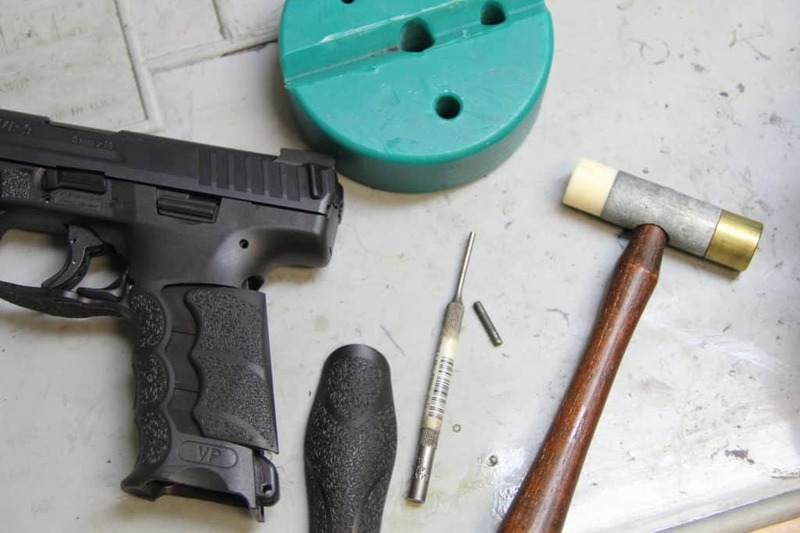 If you find yourself cleaning your firearm, your ability to reassemble it to deal with potential threats at a moment’s notice becomes less of a convenience and more of a necessity. While the type, size, and caliber of the firearm will combine to play an important role in determining its range, you will still need to weigh the factors against one another to find the gun that provides you the qualities that you need most. Keep in mind, depending on where you live and where your bug out location is located, range may not be that important. For instance, if your bug out location and the various routes to get there all have you tracking through heavily wooded areas, you are unlikely to even be able to make use of a firearm that can shoot accurately beyond 300 yards. 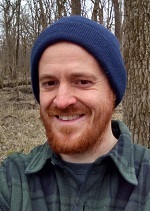 Conversely, if your bug out location and the routes to get there place you in a variety of more open terrain, the ability to deal with threats or hunt prey at longer distances becomes more important. 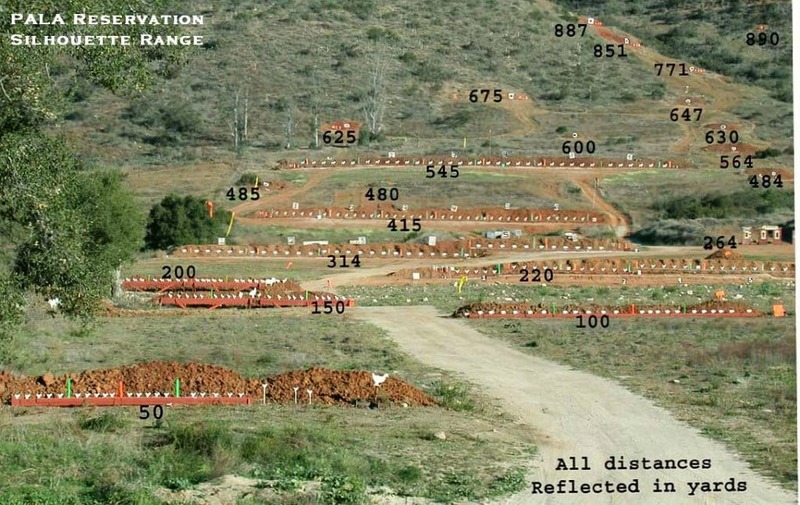 In this regard, it is likely a good idea to ensure that you have at least one firearm that is capable of shooting accurately at medium to medium-long ranges. Notice the operative word in that sentence is not the distances but the word “accurately.” You may train with a pistol, but if you are using a 9mm round, you will have to account for its drop far more than if you are using a pistol that fires .357 magnums. Of course, that round is heavy and less common, so it is not advised for a bug out firearm. 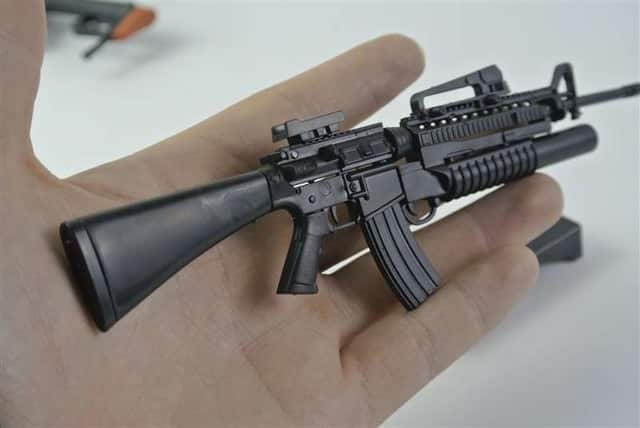 In this instance, we return once again to the assault rifle which can often reliably shoot at both medium and medium-long distances depending on your caliber and the type of round it fires. Ideally, you will want a firearm that is manageable at close ranges with the ability to remain accurate up to 300 yards. This factor is a bit tricky considering it is a completely subjective determination. That being said, there are some quantifiable measurements that can often provide insight into how the gun will feel in your hands, but ultimately it will come down to your personal preference. Much like the way few people throw a ball with perfect, professional technique, few people will hold a firearm exactly as specified. Much of this has to do with the fact that people are far too different–even on the minor scale of hand shape–for a single mold to provide a universally ideal fit. 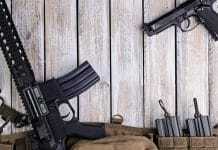 Moreover, if you learned how to do a task a certain way, chances are that you inevitably attempt to accomplish that task the original way regardless the “proper technique”–including holding a firearm. Most of the quantifiable measures that will play into how the gun feels in your hand relate to how far apart the different functions are or how much pressure is required to activate a function. For instance, keeping your firearm’s safety on until you are in a situation requiring its use is a necessity. That said, being able to switch from safe to live mode with the flick of thumb is just as important. This principle follows similarly when you consider the hammer, upper receiver, and magazine as well. The ability to disengage the magazine lock to quickly reload is just as vital as the ability to pull back the upper receiver and chamber the first shot. If the gun uses a hammer action, how much additional pressure is required to simply fire from the trigger? All of these factors affect the feel of the gun. The term “extras” might be a bit of a misnomer depending on the other specifications of your firearm. For instance, a reflex sight might be ideal for a medium range assault rifle but will likely not be as much of a necessity on most handguns–especially larger caliber handguns. Still, different manufacturers will produce a wide variety of additional options depending on the gun’s type, popularity, and market lifespan. 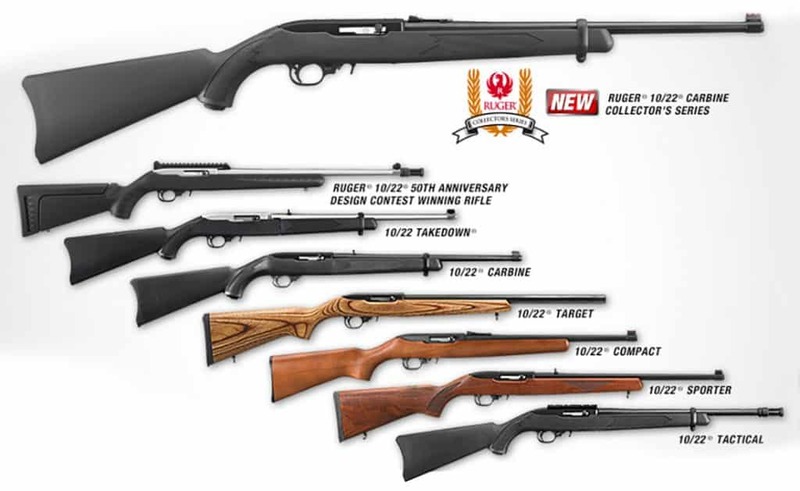 For instance, the Ruger 10/22 is one of the most popular small caliber rifles on the market. Consequently, it has also been around for a while. 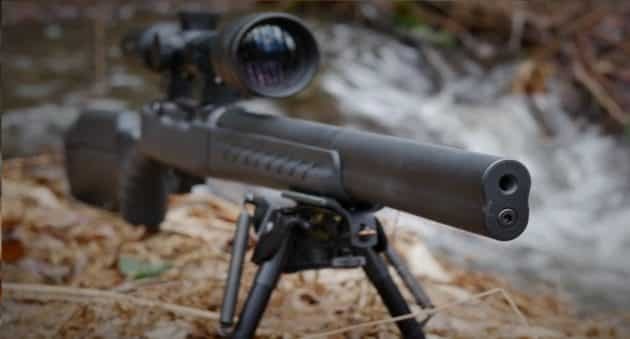 Both of the factors combine to produce a broad and deep market of additional modifications that can be made to the firearm to either improve its capabilities in some respect or simply provide customization. Another factor to consider with extras is their cost. A quality firearm will cost hundreds to thousands of dollars on its own. This investment can easily double if the manufacturer also makes sure that their firearm uses proprietary add-ons which require you to purchase only their brand. Ideally, you will look for a firearm that can use a multitude of different brands and types when it comes to extras. In fact, there are many brands for both firearms and modifications which specialize in providing a maximum amount of versatility for fit. While these brands may not always strictly provide the maximum performance found within their class or category, there are usually plenty which offers a quality performance with maximum utility. In this regard, the potential for long-term use and even having to change modifications on the fly make this a better option. Based on the criteria we have laid out for you, it should be fairly clear that there is no single firearm that is simply the best bug out gun for everyone. While we personally think that an assault rifle provides the best mix of utility, even within that category, there is no gun which will be perfect for every person. 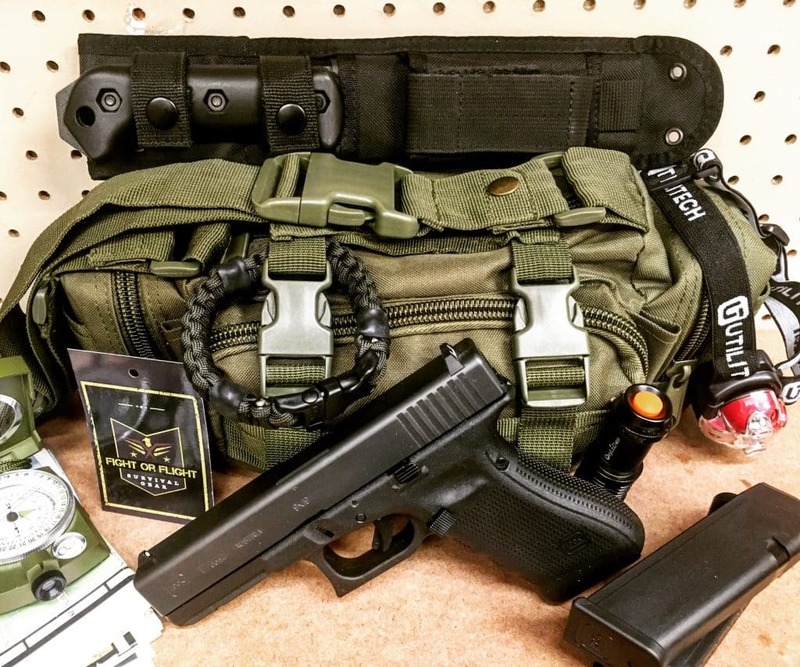 Moreover, many of the factors that will help you select the best bug out gun for you involve factors that do not even relate to the firearm itself. 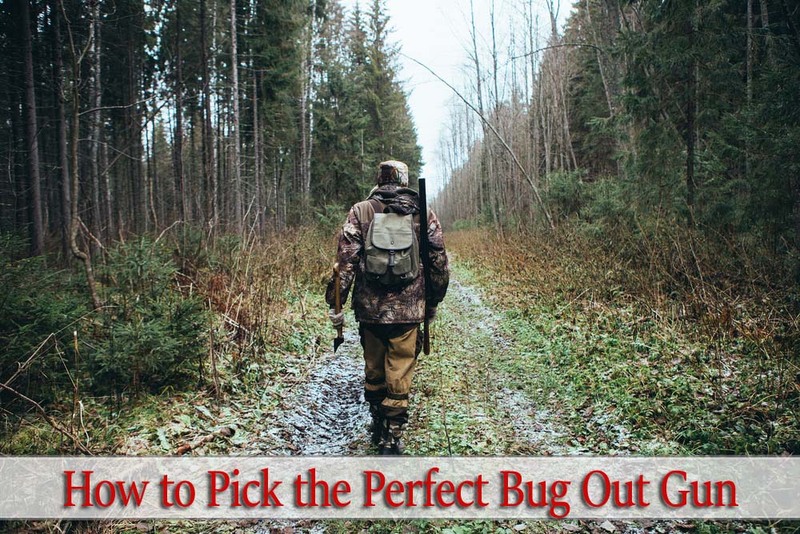 To learn more about the various factors that can and should influence your bug out gun choice, check out my comprehensive bug out guide. Previous articleWhat is the Best Survival Lighter for 2019? FREE Guide! Your use of the term “assault rifle” to identify semiautomatic long guns is incorrect and harmful to the cause. Folks without any real gun knowledge of their own are already spoon fed misinformation, purposely confusing information and straight up lies by the anti-gun media, they don’t need us reinforcing that false information through lazy writing. It is extremely important that we all do everything possible to counter the anti-2A agenda with facts and correct terminology. The anti-gun folks have already convinced a large majority of folks who didn’t know better that assault weapons and machine guns are as easy to buy and own as a pack of chewing gum and articles like this reinforce it in the worst way possible…by repeating the same incorrect terminology on a pro 2A site making it seem like what they hear on the anti-gun media must be true. I otherwise enjoyed the articles content but the incorrect “assault rifle” terminology empowers the anti 2A movement and harms the fight for freedom and preservation of the second amendment.